I love buying new fitness gear as it makes me feel like I’m ready and prepared for the part. For some reason it encourages me to get started, keep going and achieve my goals. Another thing I love is a discount! And because I’m feeling the May Bank Holiday vibes, I thought to give you both – how nice of me, I know haha! t’s really discouraging when you can’t see the progress you’ve made. Don’t you find that when you can look back and actually see your achievements, you find that you are way more motivated to carry on? I find that this is a perfect way to manage what you want to achieve and it’s now 25% off! I can’t stress how important nutrition is for you getting fitter, healthier and toned! This is such a popular product that the original has been SOLD OUT! So, check out our brand new summer version with a 25% discount. Believe me, you will save money by planning what you’re going to eat, it will keep you on track and make you super organised. Plus, you get a pen with it! You’ve probably heard me say this before…It’s not all about the scales!!! Trust me when I say that it is much better to measure your results in inches or cm’s than in stone, kg or pounds. Muscles mass is way smaller and you will be able to see this result by measuring it – not on the scale! I have big events coming up this summer, so it’s really helpful for me to write down what’s going on so I know when to fit in my workouts. Planning is key girls, and this 12 week planner will help you keep on top of everything! And this summer design is sooo nice! I love a dumbbell workout! It’s super effective and they are really bright so you can’t miss them. They have a flat bottom so there’s no chance of them rolling away from you. For beginners you may want to start with 1KGs, Intermediates with 2KGs and if you want to push your self get your self 3KGs. 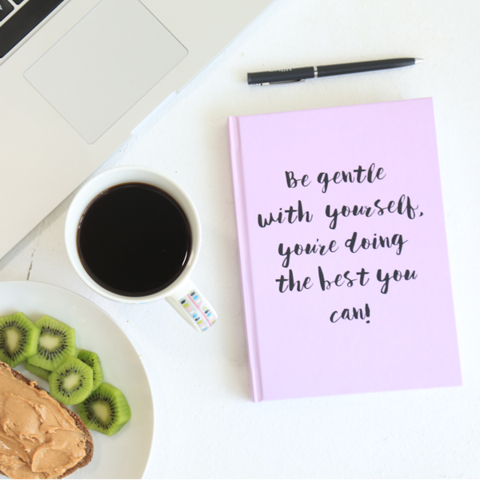 Do you struggle to stay on track and need a motivational pick me every now and then? Do you also need to see how much you’re actually changing each month? 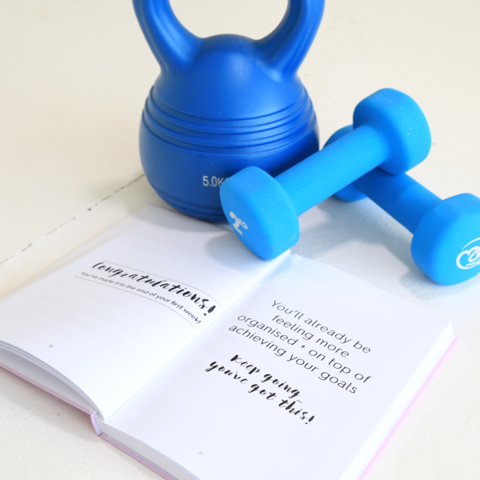 This cute little booklet is what you need to stay motivated everyday. Plus it’s small enough to fit in your handbag so you can take it everywhere you go – perfect! Plus the summery colours just make me happier. What feels better than showing and snuggling up into a cosy hoodie? Nothing – it’s the best thing ever. Join my #RWLFITTIES community of girls and get my super soft hoodie. We always support and comfort each other – and so does this hoodie! 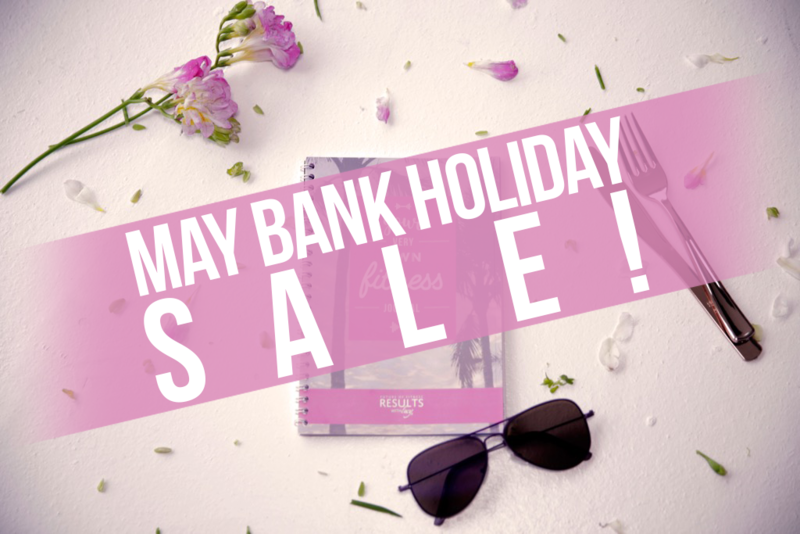 Remember girls, this discount code will work from Friday 26th May at 1PM and end Monday 29th May at Midnight!